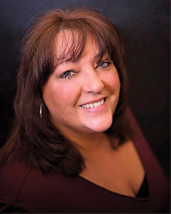 Victoria (Vikki) Price has been a top producer in the mortgage industry since 1994. She originates all types of mortgages, including FHA, VA, rural development and conventional loans. Vikki has won numerous awards including President’s Club, Circle of Distinction and Platinum Circle. She also was named as one of the top 200 producers in the nation by Mortgage Originator magazine in both units and FHA/VA lending for five years running. Building relationships with customers is one of Vikki’s priorities. Her goal is to make the experience unforgettable and enjoyable. Call or email Vikki today to see what she can do for you and why she’s one of the best in her field!